Shadowrun Returns is the gift fans have been waiting for since the glory days of Sega Genesis and Super Nintendo. When the franchise was rebooted on PC/Xbox360 with the abomination known as a cross-platform shooter, fans have been aching for a successor to the 1994 classic. Due to conflicts with licensing, founder of FASA and producer of BattleTech and Shadowrun Jordan Weisman had to turn to crowdfunding through kickstarter to get the party started (again), and with over 1 million dollars in support there was no doubt fans were screaming for more. Shadowrun is a blend of genres where cyberpunk meets fantasy following a great cataclysm that results in the return of magic to the world. The blend of magic and technology (cyberspace) created a unique universe which is best known for its tabletop RPG which just released its 5th edition (the original debut, 1st edition was released in 1989). It’s tech, magic, and a whole mess of fun. 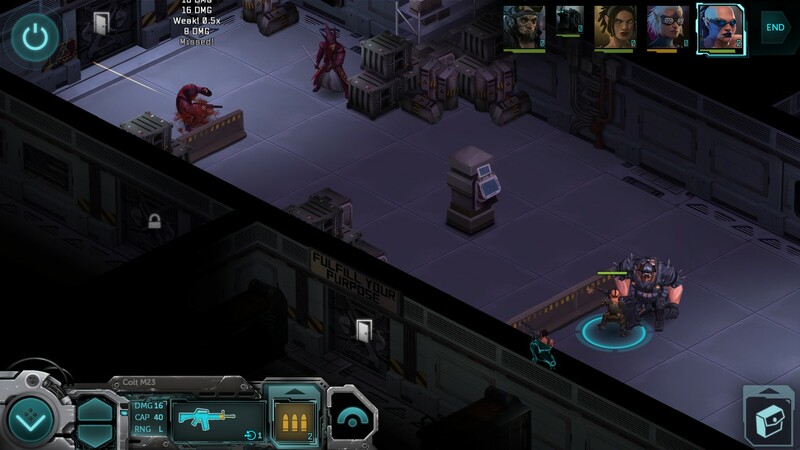 Shadowrun Returns plays as a hybrid between real-time and turn-based gameplay. As an RPG and tactical strategy blend, it presents a unique twist to gameplay in that most of the game moves in real-time, and then switches into a tactical turn-based strategy game with a seamless transition. The top-view perspective offers tactical advantages, and is also a subtle nod to the classics. With plenty of diversity in character selection, players will have the option to choose between humans, elves, dwarves, orcs or trolls; each with their own strengths and weaknesses. For example, trolls will be limited in their intelligence scores (making it slightly more challenging to become a rigger or decker), but they are also the strongest race having the highest capabilities for melee combat. While the race selection does have an impact, it’s not enough to deter someone from choosing the race they want. The small restrictions aren’t enough to hamper gameplay or make it impossible to succeed if you want to play with unusual combinations (troll + rigger, elves + melee, etc). Fans of the Shadowrun franchise will recognize the class system which ranges from Street Samurai (a blend of melee and ranged weapon masters), the Combat Mage (which blends guns and spellpower), the Decker (masters of hacking and technology), the Shaman (with spellpower and ritualistic abilities), the Rigger (masters of drone combat), and Adepts (who stream magical power through themselves). If you’re a Shadowrun expert, you can freestyle and choose your own ability setup, allowing fans to break free of the restrictions of class-based gaming. The turn-based combat allows players to blend strategy and a variety of weapons which include melee combat (samurai-style), ranged combat (guns, guns, and more guns), spells and drones (which replace one of your weapon slots). While I’m not a fan of my rigger being incapacitated when I have two drones out, their combat efficiency can’t be underestimated. After earning enough Karma to “level up” I unlocked the ability to have multiple drones and a melee weapon equipped, making my character a powerhouse. While the game doesn’t tout any voice acting (which makes the game feel cold at times), it’s designed to be an expansive universe where fan-created modules (similar to the tabletop version) are at the core of gameplay. The elimination of voice-acting makes some of the more expansive stories more accessible at times, but it does leave a bit of emptiness in my ears. The music on the other hand, composed by Marshall Parker and Sam Powell (who worked on the SNES and Sega versions of Shadowrun) brings absolute glee to my ears. 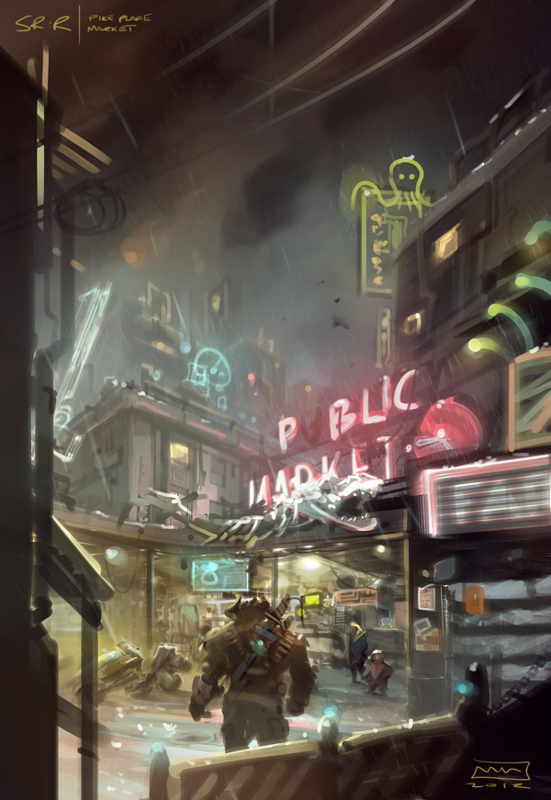 Reminiscent to the 90’s Shadowrun games there is a true cyberpunk (shadowrun/syndicate style) ambiance that sets the dark tone of the urban sprawl. Most of the sounds in the game sink into the backdrop of a beautifully crafted two dimensional world. One area the game excels at is the art design that flashes of nostalgic old school Shadowrun while blending vibrant colors and beautifully rendered art that looks like it was pulled straight out of the 5th edition manual. While the character models look a little quirky at times (my troll looks like he came straight out of a comic book) they feel like the spiritual successor to the original titles. More importantly, they look right at home in the world of Shadowrun. 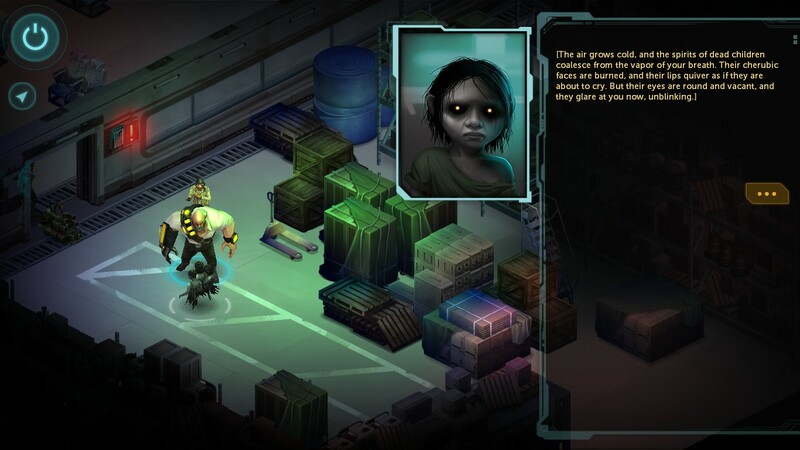 What may lead Shadowrun Returns to have the greatest success is the easy-to-use built in editor which allows fans to create their own campaigns, weave their own stories, and integrate their own characters into a universe of their own. Due to the extensive nature of the editor, that will be covered in more detail at another time. Right now, we’re focusing on just the game. Shadowrun Returns brings back all the elements of gameplay fans have been raving about for years, and crying out for ever since the shooter-version destroyed the hearts of fans across the globe. With Weisman once again taking point, the Shadowrun universe feels like justice has been done. What will really make this game shine is heavily dependent on the customized modules and campaigns that fans create and upload, since Steam streamlines the entire process there are already a handful of short campaigns uploaded and ready to go. Dead Man’s Trigger is the first campaign you’ll start off with, the official release from Harebring Schemes which has you running through the shadows to uncover conspiracy, murder and corporate greed. It’s a solid campaign to get you started, but the real gold will be whatever comes next. (Currently, there’s an SNES reboot in the works via Steam which looks extremely promising – keep an eye out for that one by ledeir). Gear up, gun down, and go earn some Nuyen chums.